AFTER A LONG CAMPAIGN AND A LENGTHY PUBLIC INQUIRY it has just been announced that the proposal to build a multi-storey hotel block above the Free Trade Hall has been rejected. Manchester's Civic Society joined forces with many other groups, including English Heritage to oppose the plan. This evening I heard Civic Society Chairman Carolyn Blain being interviewed on Century 105 radio. She said: "We always felt it was inappropriate and unlikely to stand up to scrutiny". Personally I was never keen on the proposal. On the right is a sketch I drew of the design which was rejected in the inquiry. (This is a revision to an original wedge-shaped design). Recently I saw more visualisations of how the hotel would have looked, and to me its towering beige-coloured cylindrical form would have ruined the south west corner of Albert Square, one of my favourite parts of Manchester. But a viable future use must now be worked out for the Free Trade Hall, a building of unique historical importance both for Manchester and the UK. Read the press release on the Manchester Civic Society website. Above we can see the current state of the Marks and Spencer store, opening next year. In the middle distance is the Ramada Hotel, and under wraps centre right is what's going to be the reconstructed "Shambles". On the right is the curved facade of the Corn Exchange, completed 1904, and in future to be known as "The Triangle". The three buses are all operated by First Bus - the single decker is a number 96, going to the village of Simister, north of Heaton Park. GREETINGS FROM THE FASTEST GROWING CITY IN BRITAIN - well that's what they say, and I can believe it, with the amount of building work going on. Not only in the city centre redevelopment area seen above, but now on Oxford Road, where an impressive new glass-covered swimming pool complex is being constructed. Work has already been in progress for some weeks, but last Wednesday it was officially launched. Gold medal winner James Hickman, from Stockport, poured the first tip of concrete. The centre will cost £32m and have two 50 metre pools, plus smaller ones. You can look at the building work on a webcam. Go to www.MiiD.net/pool.shtml, and tell them I sent you. THE TRAFFORD CENTRE IS PROVING TO BE A HIT WITH SHOPPERS, and we noticed yesterday there seemed to be less of them in the city centre than before. The Trafford Centre website is at www.traffordcentre.co.uk. And as if all this wasn't enough, horse racing may be returning to Greater Manchester. Entrepreneur John Whittaker has plans for a 2000 acre country and leisure park on land just west of the M60/M62 intersection at Worsley. Castle Irwell racecourse, Salford (mentioned in my 1947 reports), was closed in 1963. The development has been welcomed by senior racing people, and it's hoped that the November Handicap may return from Doncaster to Manchester. DIGITAL TELEVISION IS ABOUT TO TAKE OVER OUR TV SCREENS - The BBC have already launched their BBC Choice channel, and BSkyB currently has a high-profile advertising campaign to persuade viewers to sign up to their new SkyDigital service. Curry's in Ancoats and Dixons in the Arndale Centre report a lot of interest. But in a recent MEN readers poll, most people said they didn't want the new channels. Personally I could get by quite happily with just BBC1 and 2, but whether we want them or not, they're coming, and during the early hours, transmissions from Winter Hill - that's all channels 1 to 4 - will be switched off while the digital equipment is installed. Digital will offer over 200 channels - wow! There will be several opportunities per night to watch your favourite programme - Coronation St perhaps (not mine, I prefer Eastenders) And if you fancy a qualification in soap operas, you can get one at Tameside College, who are offering a course in "Society Through Soaps". Are soaps a mirror of society? If Eastenders is anything to go by, I sincerely hope not! This Friday night will be a treat for Manchester music fans - "Madchester" is the subject of the superb "Rock Family Trees" series, narrated by John Peel - my video recorder will be set to record! THIS WEEK'S MOST RIVETING VIEWING was in my opinion "A Life for a Life", the dramatised story of Stefan Kiszko, which we watched on ITV last night. The tax clerk from Rochdale was wrongly imprisoned in 1976 for the murder of child victim, Lesley Molseed. Lead actor Tony Maudsley put on two and a half stone for the role and used his experience working with adults with learning difficulties. The result was a totally convincing and very moving drama. But the murdered child's parents, who live in Rochdale, have complained that the dramatisation wasn't hard-hitting enough, and was too lenient on those responsible for this miscarriage of justice. The actual murderer has never been found. REAL LIFE PRISON DRAMA is unfolding at the moment as Myra Hindley launches an appeal to overturn successive Home Secretaries' decisions to keep her in prison. Her QC Edward Fitzgerald argued that she was singled out "because of her notoriety" and that there was no "intrinsic necessity" that life must mean life. But on Northwest Tonight this evening, one of the police officers involved in the investigation said he felt she should stay in prison, due to the nature of the crimes. Every time I drive past Saddleworth Moor, I think of the Moors Murders - after 30 years, the case continues to haunt the local psyche. A FACE FAMILIAR TO MILLIONS AROUND THE WORLD was splashed across the front page of the Evening News last Thursday, but this was no local lad - it belonged to Iraqi dictator Saddam Hussein, who it's claimed, may be using Greater Manchester educational institutions to further his aims to develop a nuclear bomb. This bizarre story surfaced when an Iraqi student of Atomic Science had to appeal against deportation back to Iraq, saying he would be used by the Iraqi authorities to develop a nuclear bomb. The student, who has to remain anonymous for his own safety, has been here since 1990 and was only given permission to stay here last week. I used to teach English to foreign students at UMIST and occasionally had to do gramatical corrections on postgrad engineering and scientific theses. I often wondered what the consequences would be if this expertise got into the wrong hands. MANCHESTER'S FIRST FOOD AND DRINK FESTIVAL started on the first of October and runs through till the eleventh. As part of the festivities, two authentic rickshaws have been brought in from the Far East (I haven't seen them yet). 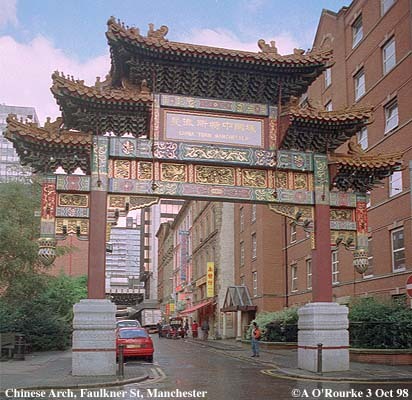 Yesterday a series of events was held in Chinatown at the Chinese Arch (above). On Wednesday there'll be a festival tour of Hydes' Brewery, Moss Side. On Sunday the 11th Madhur Jaffrey will be at the Shere Khan restaurant. We ate there on Saturday, and had poppadums and relishes, chicken tikka, rogan josh, pilau rice and drinks, all for £18 for two including tip. At the other end of the scale, you can pop along to Simply Heathcotes, considered by many to be Manchester's best restaurant - Try the "Menu du Festival - a menu of extravagant and classic ingredients combined with an array of champagne from one of the premier houses..." cost: £65 per person! THE VIEW BELOW IS FROM Cafe Uno, on Albert Square - fashionably continental and quite reasonably priced - you can shelter under the arcade from the rain! There's also Via Vita at the other end of the square - their pizzas and tapas are excellent - and not expensive. In the corner of Albert Square is the Dome - a convincing replica of a Parisian cafe - their "Baguette Dome" is delicious - the "Croque Monsieur" too. But for a swift, nourishing and above all cheap lunch, you can't beat "The Rustic Bap", off Brazennose Street, near the Hidden Gem - most sandwiches cost less than a pound! THE WEATHER HAS AN INCREASINGLY AUTUMNAL FEEL - last week was changeable and temperatures are on the way down - currently it's 52/11 degrees - my pictures are getting fuzzier as the weather gets murkier. See my view of the city centre from Hulme. Watch out for a new Manchester People feature, coming later in the week, plus lots more pictures in the Image Collection - and let me know your picture requests - Failsworth will be featured next - as soon as the weather clears! It is not at all suprising that gangs are hyping-up airguns and have access to other firearms. When I lived in West Dids it was a topic I discussed with the Manchester Police (I had occassion to assist withe VIP protection at a few speaking events) was that for a price handguns were readily available, on demand, in certain parts of Manchester. It is silly to believe that the criminal element would "turn in" their guns, that the clock could be rolled back and handguns and longarms erased from the landscape and thet such low technology couldn't be used to make guns outside the system. Canada recently banned .50 BMG Target Rifles - they had to be turned in. Export permits were a big hassle. Only a third of the thought to exist population of these very large rifles were turned in. Australias media success in banning all full-automatic and military weapons and licensing the tame guns that are on the approved list met with a 16% success rate, despite whatever the mass media says. Australian police on USA training are my source on this. In addition any machinist worth his salt can make gun in short order. What the real problem is evil usage of a tool (the gun) and the pack mentality of gangs. Here we just had a well loved young police officer gunned down by a gang (in the back!!) - fortunately the anti-gun media has been lost beneath the anti-gang and law-and-order response of the citizens. I watched the 350+ police car motorcade for his funeral, wondering what would lead our youth to think doing this was right? Criminalise the Criminal - the tool isn't the root of the crime. I don't think so - drug crime was being reported ten years ago. Feelings run high in the wake of Dunblane - public opinion has led to the ban on handguns. But has it led to the end of gun-related crime? That's enough on this subject! Recognized your photos in the Atlantic Monthly article. The article itself was well written but painted a depressing picture of Manchester -- ecstasy, violence, racial slurs, yobbos, beggars and dangerously loud music in the Hacienda before it shut down. I wonder if your Web site photos and references to clockwork-orange-type attrocities in the city center inspired the article in the first place. I hope my photos don't reflect this, and I try to keep crime stories lower down the page, subservient to "normal" news. Has anyone else seen the article? Aidan ! We could do with more photos of Cheshire, beautiful Plumley and Peover for example. Tsk tsk, You Eyewitness readers are never satisfied! 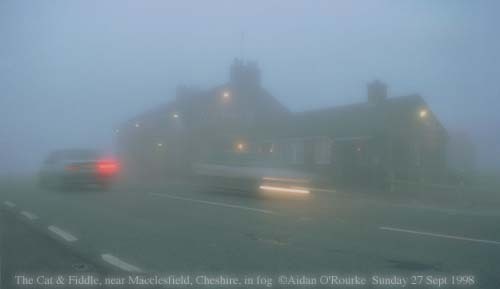 First I get told off for not having enough pictures from north of Manchester, now you say there aren't enough from Cheshire (which for those new to the area is the county to the south of Manchester)! Well, Cheshire is the county of my birth (Stockport - in 1958 - when it was still part of Cheshire) and I do have quite a few of Cheshire already - go to the Image Collection and do a search for Cheshire. 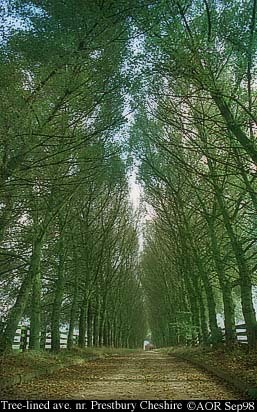 In the meantime, here's one of a tree-lined avenue, just off the road between Wilmslow and Prestbury. Many more Cheshire (and Lancashire) locations coming soon! Have a look on the City Council website at www.manchester.gov.uk under "Events". Hope you enjoy your stay here and thanks for using Eyewitness in Manchester! Subject: Manchester an innovative new structure! While, I likely many, welcome the return of a Greater Manchester Council, I believe that it’s real role should be for county-wide issues only, such as transport and highways, police, ambulance and fire. In the post-war plans for local government reform, it was more or less taken as red that at some point all the Manchester districts would be incorporated into one authority. Remarkably, this has never happened. I think Manchester City council has every right to complain about maintaining its role as second city, financed from a tax base of only one third of Mancunians. However, the solution needs to be more innovative than simply extending the current boundaries. I suggest a totally new structure, which I heard discussed when the idea of a "super-city" was first mooted; a Manchester of five boroughs, and a true win-win situation, where people do not feel swamped by a super authority covering 1.2 million people and Manchester gets a dedicated strategic authority it so desperately needs. The strategic authority would deal with city-wide issues such as economic development and planning, libraries (so "reader from Whitefield" does not have to complain about not being able to use Central Library), arts and theatres. It could be elected by proportional representation from all the five boroughs. The boroughs themselves would deal with education and leisure, social services, direct works and housing, so that the people will be nearer to their representatives on the day to day issues. North Manchester MBC: Cheetham, Crumpsall, Blackley, Prestwich, Whitefield, Moston, Middleton, Radcliffe etc. East Manchester MBC: Openshaw, Gorton, Longsight, Denton, Droylsden, Failsworth etc. West Manchester MBC: Eccles, Pendleton, Weaste, Worsley, Boothstown, Swinton, Atherton, Irlam etc. South Manchester MBC: Stretford, Hulme, Fallowfield, Chorlton, Disbury, Sale, Urmston, Wythenshawe, Altrincham etc. City Central (or Manchester Core Region, or Manchester & Salford City Centre, or whatever name people feel best describes the strategic core of Manchester): The city centre, plus Trinity, Ancoats, Strangeways, Pomona and the South Manchester Education Precinct. Strategically it may be argued that the strategic core should also include the Salford University precinct, Salford Quays and Wharfside in Trafford Park? Is the current Manchester City council brave enough to see the current boundaries carved up in this way? It may be useful to create a Rochdale and Bury MBC, and Oldham and Ashton MBC to maintain viable metropolitan boroughs, and makes far more sense than say Prestwich people having to pay rates to Bury, or Failsworth people to Oldham. Manchester will have the strategic muscle to act out its role as second city, without alienating ordinary citizens. Just a note about Altrincham. I know it isn’t a Manchester district proper, but it is a de facto South Manchester suburb. Perhaps some special status could be given, like some districts have Parish status within boroughs? 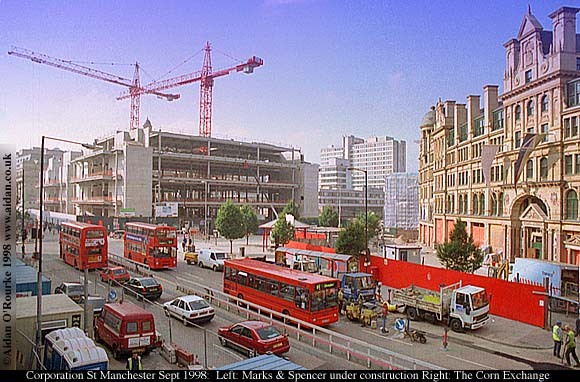 I remember being in Altrincham in 1974, when it was absorbed into Greater Manchester - they didn't like it then and I don't think they'd like it now! The outlying boroughs don't want to give up territory to an enlarged Manchester. I think I like the idea of local autonomy within Greater Manchester, as mentioned by Manchester City Council leader Richard Leese. What do other readers think? I have a friend living in Manchester, originally from Dublin. I have never been to Manchester and this was a good way to see it and learn about it. I may go there eventually if I can get over my discomfort at stodgy Britons. Yours Truly Paul. The best way to find out if Britons are stodgy is to come over and find out for yourself. You're very welcome, and we look forward to seeing you in Manchester! Are you pictures available as screensavers ? 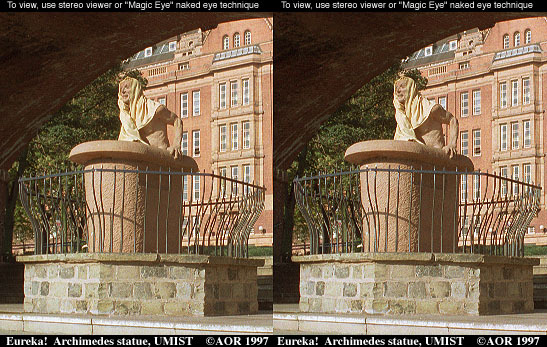 I'm currently working on an Eyewitness in Manchester screensaver, available shortly via the Manchester Online shop. This picture is for "Wazza"